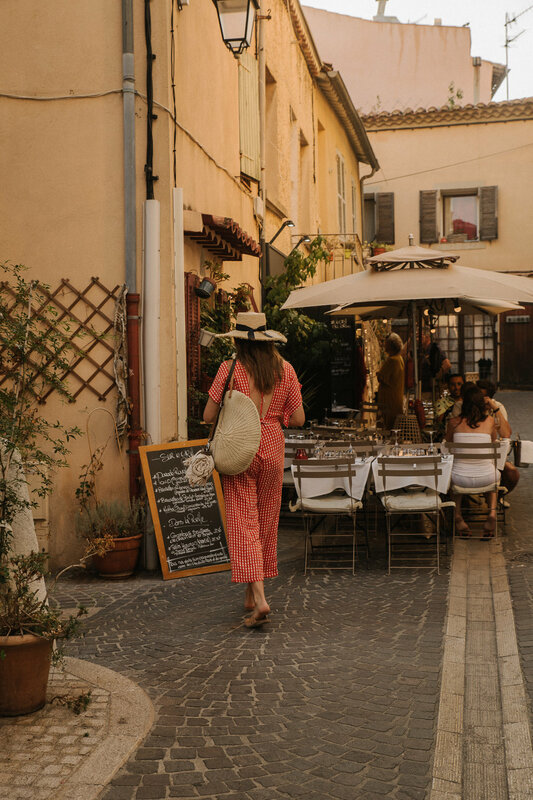 We travelled all the way across the globe to a little town called Cassis, in the South of France to shoot our VOYAGE Campaign. So why Cassis? 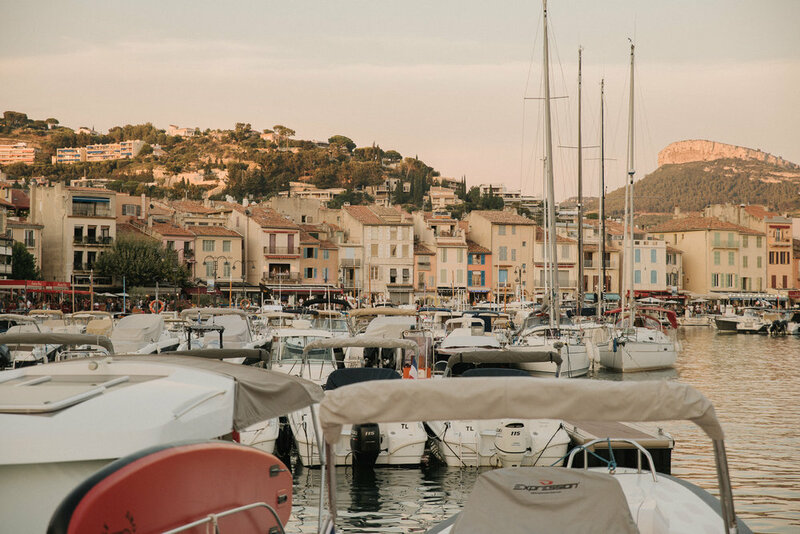 We chat with our photographer Jessica Ruscoe who very much influenced our decision in shooting in this quaint town and why she loves Cassis so much! The campaign was shot in the South of France in a small town called Cassis. What made you choose this little part of the world? I was fortunate enough to travel to Cassis in 2016 with my partner. Admittedly, he was really the brains behind that trip, and after a bit of researching, he found a few articles describing Cassis as what Saint Tropez was 50 years ago. It's a beautiful fishing town, less than half an hour out from Marseilles, but few people knew about it (tourism wise). I was again lucky enough to visit Cassis in 2017 with my dear friend Ally, where we spent just under a week relaxing and rehabilitating after a week of non stop partying in Paris haha. There are few places in the world I feel so at home, but Cassis is certainly one of them. The Beach People is such a unique label with a very clear vision. Cassis fit perfectly with their aesthetic - and the town really matched their ethos of the path less travelled. Also, it was a great excuse to head back there! Tell us about the day and what it was like shooting the campaign. We had an absolute ball shooting the campaign. We met the lovely Ali (our model) in Paris a few days before heading down to Cassis. After arriving in the town, we quickly unpacked, then wandered down to Bestouan Beach. It was this lovely little cove that I had spent most of my time in during previous trips, so once we settled in for the afternoon on the pebbly beach - we decided the majority of the campaign would be shot here. Fortunately we had perfect weather the whole trip, however it was incredibly hot. We made the most of the morning, heading down to Bestouan Beach at 6.30am to begin the shoot. Within an hour, quite a few locals and French holiday-goers had set up camp on the shore. A few were curious as to what we were doing, but no one seemed to mind at all. In fact, once the beach filled up as the sun got higher, many people came up to us to ask where the towels were from and what swimwear labels Ali was wearing. Everyone was very relaxed and unbothered! A few times we approached some locals to ask if they wouldn't mind having their picture taken with Ali. We ended up chatting to a group of jovial gents, and some lovely older women who invited us to sit and chat with them (see these shots in the campaign journal here). It was perhaps the most relaxed shoot I've ever experienced - and I think that came across in the imagery. We were really trying to capture a beautiful holiday feel - which essentially it was! Haha! Did you have a favourite look from the day? I have to say, I found it hard to stop shooting the ‘La Plage’. The colours were absolutely perfect, Jake did an incredible job with that design, and Ally styled it perfectly with the Peony Swimwear. It’s been said, that you love to picnic. What are your must haves for the ultimate picnic? This is correct. Look I think it goes without saying (although, I'll say it), CHEESE. Followed closely by wine...and if it's morning, some kind of fruit juice to combine with the wine (champagne) because then it's acceptable. I am a sucker for an aesthetically pleasing picnic - so a good rug/towel (preferably a Travel Towel, my fave is the Mon Soleil), sturdy picnic cutlery/plates/cups (I've recently seen these wine glass holders that you stick into the ground like a stake - I deeply need these in my life). Always remember something for food disposal, and perhaps something to put all your leftovers/dirty plates etc in... I kinda always forget that part. Food wise, the more colours - the better! See the whole VOYAGE campaign shot by Jessica, in PART ONE and PART TWO and shop the collection below.